For the first time in 43 seasons, the Washington Capitals finally achieved their goal-National Champions and winners of the Stanley Cup. The win also marks Washington’s first national title since the Redskins won the Super Bowl in 1992. After scoring 15 goals during the playoffs, Alex Ovechkin was named MVP. Even though the Capitals played game 5 in Vegas, their fans came out in droves yelling “We want the Cup”and they got it! Congrats Capitals! 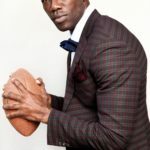 Former SF 49ers wide receiver Terrell Owens announced he will not be in attendance at the Pro Football Hall of Fame induction ceremony. Owens said, “While I am incredibly appreciative of this opportunity, I have made the decision to publicly decline my invitation to attend the induction ceremony in Canton. After visiting Canton earlier this year, I came to the realization that I wish to celebrate what will be one of the most memorable days of my life, elsewhere.” A representative from the Hall of Fame said this was “unprecedented”.